I founded my own company, M-style,inc. in DEC 2005. M-style based on Tokyo. I started my design works in Japan and foreign country. We provide comprehensive service including hospitality, retail, store, furniture, planning and design. I independent from SUPER POTATO in 2005. 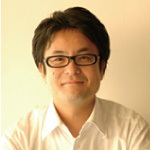 I worked as an interior designer, for the Tokyo based firm SUPER POTATO Co., Ltd. for five years. The international projects that I was involved during my time at SUPER POTATO were the hall design for a furniture exhibition in Milan, Italy and the restaurant design for the Bellagio Hotel, Las Vegas. As a chief designer, I lead the design, including the selection of furniture and materials, and the supervision of construction.